Dara Near spent approximately five years in the real estate industry before joining Prominent Properties Sotheby’s International Realty in 2015. In search of a more widely recognized, quality brand with global reach, Dara chose Prominent Properties Sotheby’s International Realty. Dara recognized that buyers from all over the world appreciate and trust the Sotheby’s name. Additionally, the global exposure that the company is able to afford its clients would prove a tremendous asset. The skills of her teammates in the New Jersey Luxury Real Estate Group™ combine to harness the extensive Sotheby’s International Realty marketing and sales tools to create an unparalleled recipe for success. Not only has Dara undertaken a successful real estate career, she has also become an integral part of the Short Hills Community. With an MBA from Duke University, Dara spent many years working at the Bank of New York in international banking for Europe and South America. 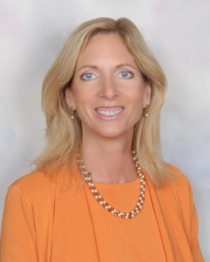 While raising three children in Short Hills, Dara became heavily involved in the elementary, middle and high schools, serving in many positions on each of the PTO Boards as her children progressed through the school system. Dara spent many years on the Cora Hartshorn Arboretum Board of Trustees, and is currently Treasurer of the Millburn Municipal Alliance Committee. Dara has long been an active member of Christ Church in Short Hills as a Vestry member and on multiple committees, including the Governing Board of Christ Church Nursery School. As her children graduated high school and entered college, Dara chose to continue her presence in the community by actively working in the real estate field. Currently a member of both The Short Hills Club and Canoe Brook Country Club, Dara has continued to foster community outreach through many volunteer activities. As the Client Relationship Specialist, Dara is a valued member of the New Jersey Luxury Real Estate Group™ at Prominent Properties Sotheby’s International Realty. She continually works to ensure that every transaction is smoothly coordinated and perfectly executed.